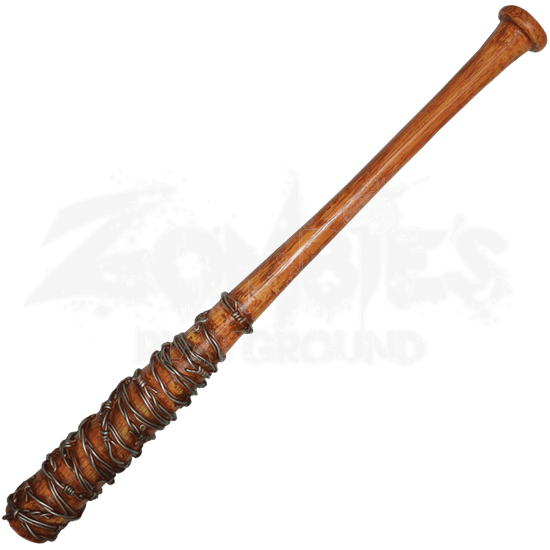 This licensed Negans Bat Lucille Prop is a carefully modeled accessory based on the most famous weapon from The Walking Dead universe. The incredibly realistic prop is made from polyurethane foam for a great screen used look and feel. This bat is exceptionally detailed, from the barbed wire and worn look, to the distinctive black circle logo that any fan would recognize. 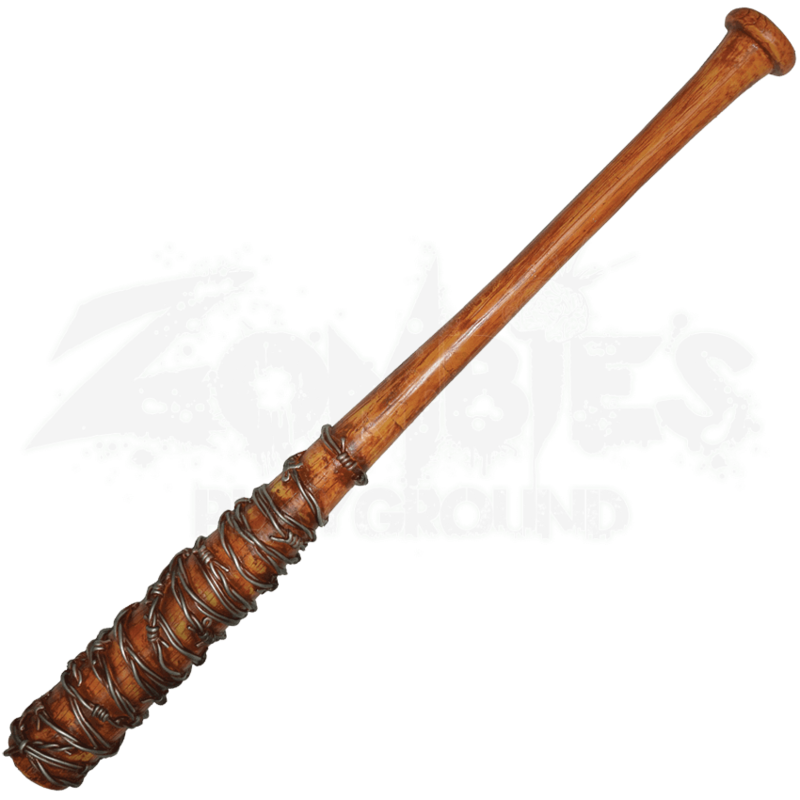 You will swear this is a real Louisville Slugger! Whether you are planning an epic Halloween outfit or heading to a costume party, this licensed prop is perfect for your own sinister game of eeny, meeny, miny, moe.